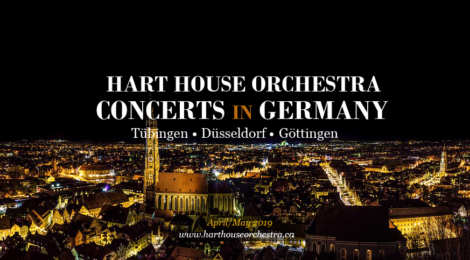 In this centennial year of Hart House, the Hart House Orchestra is excited to announce that its members will showcase their work in Germany this spring. Not only is this trip an once-in-a-lifetime learning experience for all musicians, but also it is an exceptional way to exhibit what Canada has to contribute to the wonderful world of classical music and to make unique connections in Germany.All proceeds of the fundraising efforts will help defray the costs of music purchase, instrument rental, and some travel costs for the upcoming Germany tour in April/May 2019. 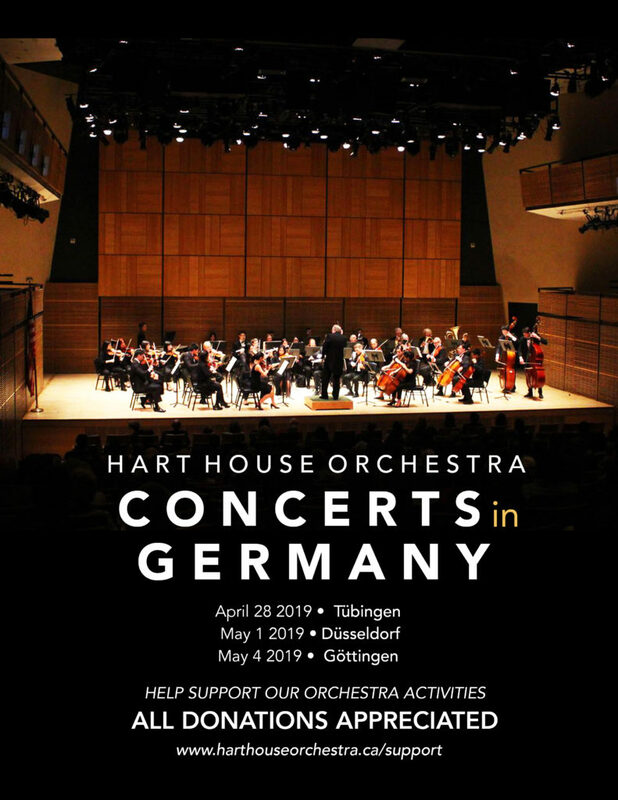 Your generous donations will help the Orchestra to continue inspiring its audiences and its members to achieve their goals. Donations can be made online here. Thank you for your kind support!